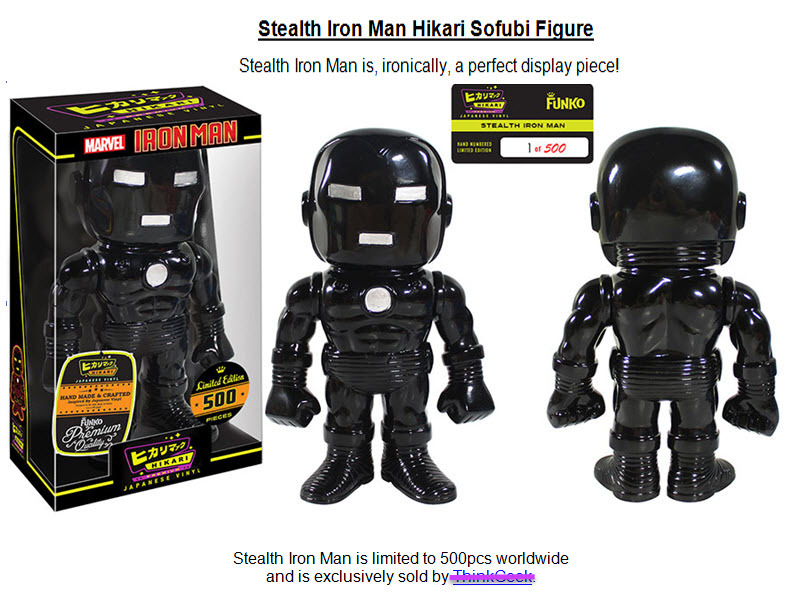 Limited Edition Funko Iron Man Black Stealth. Run of these vinyl Japanese Sofubi Figures are limited to only 500 units. This was a rare run only available from thinkgeek but we have got our hands on a few.